Mowbray’s crime spree started on July 27 in Staunton where he stole two laptop computers from Walmart. On August 24, he stole over $200 of merchandise from a Walmart in Rockingham County. 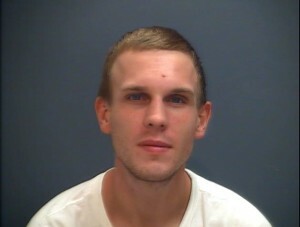 He next stole under $200 of merchandise from Kohl’s in Harrisonburg on August 28. Finally, on August 31, he stole an air rifle from the Waynesboro Walmart. On each occasion, he was able to get away from the store with the merchandise. However in the Waynesboro case, officers were able to identify him after viewing the store’s surveillance footage. Law enforcement agencies in the other jurisdictions also had identified Mowbray as the suspect in their respective cases and had obtained warrants. None of the property has been be recovered. Mowbray is being held at Middle River Regional Jail on multiple bonds.